Flaxseeds contain healthy omega-3 fatty acids that support neurological function and cognition. A different triglyceride exists in flax that is not found in animal products: ALA, alpha-linolenic acid. Enzymes, vitamins (especially B6), and minerals in the body convert ALA to EPA and DPA. These omega-3 fats play an active role in cell signaling and internal inflammation. Flaxseed can be used as a home remedy in several forms, including oil and ground or whole seeds. Buckwheat can be eaten as a comforting breakfast porridge. Because it’s gluten-free, buckwheat is an excellent flour choice that can be used as a wheat substitute. The consumption of caffeine is a complicated matter and has a lot to do with your individual tolerance and body chemistry. 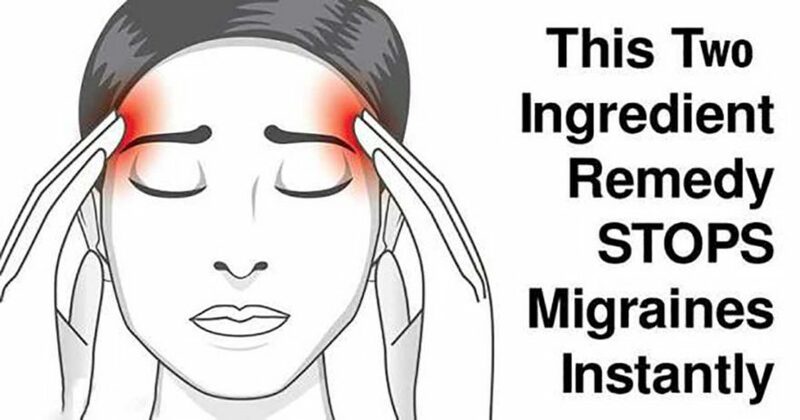 It is a common trigger for migraines but can also cure them. If you’re used to drinking coffee each day and abruptly stop, you can experience withdrawal headaches. Caffeine tolerance builds over time, so if you suffer from chronic migraines and are a daily caffeine drinker, you may consider weaning yourself from it and make note of any changes. For some, caffeine can be a migraine cure, especially when taken with other headache medications, as it amplifies their strength. Caffeine restricts blood vessels that can block pain reception. On the other hand, this action can also cause headaches. (17) It’s a personal trial-and-error option. Because our bodies are composed mostly of water, dehydration can cause many uncomfortable reactions, including migraines (and even death, under extreme circumstances). Dehydration results in decreased blood volume and brain shrinkage that can stimulate pain receptors in the tissue that surrounds the brain. Blood vessels alternately contract and expand, causing inflammation. Electrolyte depletion often accompanies dehydration, which exacerbates a headache. Potassium, sodium, calcium, phosphorus, and magnesium are critical minerals to maintain hydration in the body. Coconut water is an excellent source of electrolytes. Studies have found that people who maintain proper hydration suffer fewer migraines. (18). Don’t drink a lot of water all at once; rather, drink throughout the day. Add lemons or apple cider vinegar to stay hydrated, reduce inflammation, support digestion, and alkalinize the body. It’s also important to drink water before and after a meal to make sure it doesn’t just rush through your body.